Some call them a ‘collage’, others just refer to the creation as a multi image picture. Either way, there are few options to make them on the iPad. 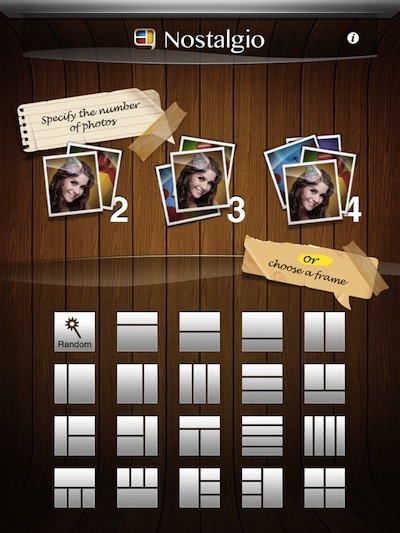 We have covered many, most offering a ton of fine tuning of quantity of images, type of frames, etc… Nostalgio comes to us today as a Free option. There are 19 different frame arrangements. These can not be resized, but you can choose to have the overall framing as a square, tall or wide final result. 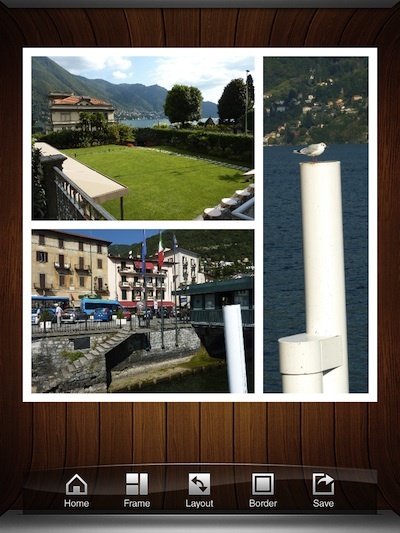 When you first choose a layout, Nostalgio inserts random photos into each framed area. Tap the image to be given the option to choose a new photos from the iPad’s photo album, snap a photo if you have a iPad2 or modify the image. Images in the frame can be pinch/stretched to best fit the available area. The Modify Image option lets your rotate an image, and gives you three filters you can apply or remove… like we said, features but very light versions of those features. 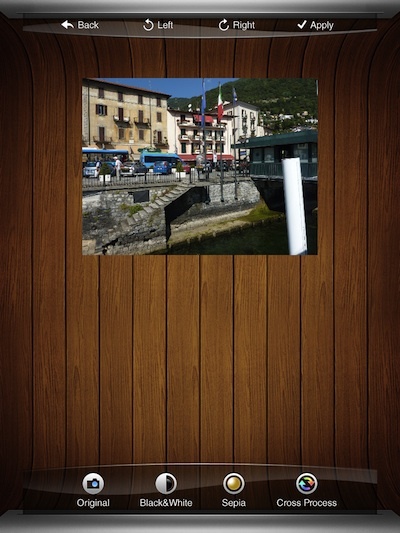 When you have your multi photo framed image ready, Nostalgio offers to save the image to the iPad’s photo library, attach to an email, or share on social networks: Facebook, Twitter, Tumblr and Flickr.